According to the "list price", the amount of this order for 290 Airbus A320 and 10 A350 amounts to nearly 31.8 billion euros. It is an order that should bring tens of billions of euros to the French giant Airbus aerospace. Chinese state-owned CASC (China Aviation Supplies Holding Company) announced Monday (March 25th) the signing of a contract to order 290 Airbus A320s and 10 A350s. According to the "list price" - that is to say the official selling price practiced by the seller before delivery -, the amount of this order of magnitude amounts to some 36 billion dollars (31.8 billion dollars). euros). It is not known, however, the amount of the discount accepted by Airbus to the Chinese company. This major commercial agreement comes on the occasion of Chinese President Xi Jinping's visit to France. 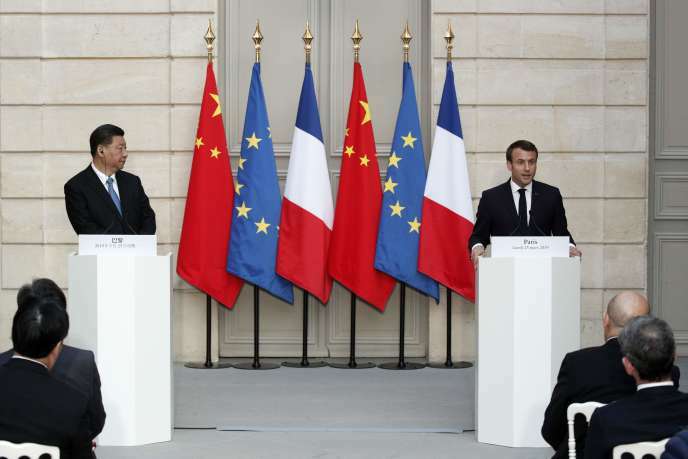 "The conclusion of a major contract for Airbus is an important step forward and an excellent signal (...) of the strength of the exchanges" between China and France, declared the president, Emmanuel Macron, during a ceremony at the 'Elysium.